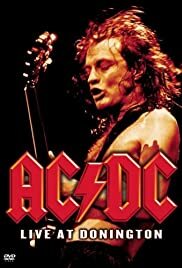 Filmed coverage of legendary Australian band AC/DC's third headlining show at the "Monsters of Rock" festival in Castle Donington, UK. 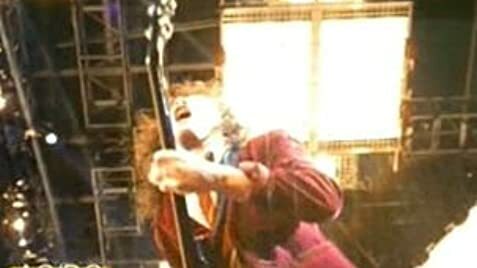 AC/DC performs live at the River Plate. Filmed coverage of Australian band AC/DC's '79 appearance in Paris intercut with quasi-fictional interludes. Live concert on the back of 'Brave New World' album, showing why they're one of the greats, performing many hits from their long career, a band at its peak. Live concert played at the Olympiastadion in Munich, Germany on 14th June 2001 in support of their then-recent album Stiff Upper Lip. Clips of AC/DC rocking out in both Live and Studio! On November 27th and 28th 1988, Iron Maiden filmed their two sold-out concerts at Birminghams NEC. When you saw the huge crowd, screaming down below the stage, you knew this was gonna be a good show! They rocked long and hard, getting better all the time. AC/DC are the best, but this is showing them in their true colours. A great DVD to get and the tracks on the CD are even better. Just get this, you'll be impressed and rocked. Even though I had to watch this with only half the volume up, it was one of the best live concerts on DVD I've ever seen, apart from Placebo in Paris of course,.